Silk painting is creating art on fabric with silk as the canvas. It is a direct 'paint-on' method with specific dyes and paints applied to the silk fabric. An array of exciting colors is used. The colors are merged with soft and smooth strokes to become an integral part of the silk fabric. Silk paintings use silk fabric as a platform unlike other paintings that are done on canvas. Silk painting can be traced back to the 2nd century AD in India when the 'wax resist' technique for embellishing silk was used. Silk painting in India reached its pinnacle of popularity during Moghul rule in the 17 - 19th centuries. Portraits and paintings on silk for wall hangings and articles of decor became popular. Special process known to specialized craftsmen and women of India helped to 'hold' the paint in vibrant detail on silk canvas. In countries like Java, the batik industry in silk flourished about 200 years later. The 'gutta resist' technique in silk painting can be traced to the Indonesian islands. Silk painting spread to France and Europe from Russian Czar family members who patronized this art form. It was in the 1920s that hand painted silk designs began to appear in France. After the American Revolution, the tariffs on silk were averted. This allowed silk trade to flourish setting a new trend in colonial American arts. It wasn't until the 1970s that silk painting became really popular in the U.S. 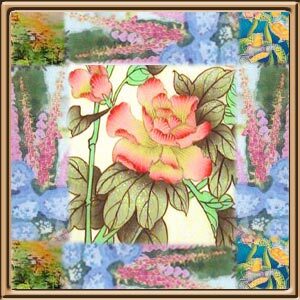 Silk painting can be done on a multitude of silk products and fabrics. Silk painting is increasingly done on scarves, sarongs and bandanas, in jackets, in clothing, underwear and sleep wear. Portraits, wall hangings, tapestries, curtains, sheets and home decor furnishings on silk canvas are gaining in popularity. Silk Habotai: This is smooth lightweight silk. Crepe de chine: Silk with a slightly crinkled texture with graceful drape. Crepe back suit satin: This is silk satin with crepe back. Silk gauze: As the name indicates, it is light, sheet gauze. Silk chiffon: This is sheer silk with crepe-like texture. Decore satin: Rayon silk face with silk backing. Silk dupion: Intermittent silk slugs in a shimmer texture. Flat crepe: This has slight crepe texture with lustrous shine. Silk organza: Crisp silk with sheer transparence. Silk twill: Shimmer silk with twill. Silk velvet: A texture with silk backing and plush rayon pile finish. Raw silk: A natural colored and textured silk. There are special-purpose dyes and paints for use in silk painting. There are basic differences between dyes and paints used in silk painting. While the dyes molecularly bond to the fabric and become an integral part of the fabric, paints do not bond themselves to the fabric. Transparent dyes and the transparent flow able silk paints work best on white silk fabrics. Black silk requires opaque paints such as 'seta color' which will leave the silk stiff. Dyes have a unique quality of being transparent. But dyes have limited shelf life. They are non-toxic and usually contain alcohol. Silk paints are colorfast, light fast, non-toxic and can be used for all kinds of traditional silk painting techniques. Silk paints are water-based emulsions of synthetic resins. They are colored by pigments. While dyes require steaming, paints simply require heat set and iron. Silk painting epitomizes flexibility of painting skills and techniques. You can use a range of painting options to enhance the beauty of the silk painting. There are dyes that must be set using steam. They give vivid bright colors and wash-fast results. These dyes leave no feel on the silk. Most of the dyes are French manufactured and contain alcohol base. Normally professional painters favor such dyes. Dupont, Tinfix, Design procion H series, Jacquard silk colors, Pebeo silk are fine examples of such dyes. Another option is the dye that can be fixed using liquid fixatives. There is an option of either dipping the painted silk into the diluted fixative or brushing the fixative into the silk. These dyes also leave no feel on the silk fabric. Jacquard silk and Tinfix designs are examples of this category. But this technique does not give bright colors as the first one where dyes are set using steam. Paints are fixed by ironing with hot iron after they are dried. These paints are water-based and easy to work with. They leave some feel on the silk. Dyna flows, Seta color, Arty's heat set, silk color, seta silk are examples of such paints. Instant set paints: These contain pigment dye. It is simple to use. One has to just dilute, paint and air dry for 12 - 24 hours. No fixative, heating, setting or steaming is required. These are hybrid category between a dye and paint. The designs on silk painting range from simple animals, birds, flowers to delicate floral designs, motifs, mythological figures, landscapes and culture paintings. Much of the effect depends upon the texture of the silk used and the kind of painting technique used in specific paintings. Accordingly they range from ethnic and course to intricate and refined. The normal silk painting methods are resist, shading, blending, watercolor, hard edge, salting, spotting with water and alcohol. Fluidity is the hallmark of silk painting. Silk painting is not static and there is a free flow of hand movement seen in the colors and designs used. The silk painting that we see in the west today was popularized by the French artist Litza Bain. Gutta resist technique: Gutta is a thick substance obtained from the Indonesian Pallaquium trees (rubber trees). This is also extensively used in the French Serti technique of silk painting. Gutta comes in black, gold metallic and silver metallic hues. It gives a rubbery feel, a contrast to the smooth drape of silk. 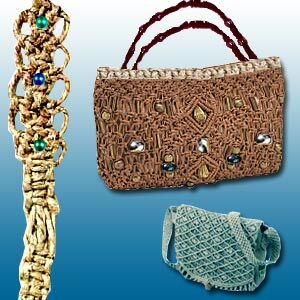 Gutta is mostly used in wall hangings and ornamental pieces made with silk rather than wearable silk art. The gutta resist method gave artists a novel way to draw and paint on the silk fabric. They started using brilliant colors without destroying the natural texture of the silk cloth. This method migrated to America in the 1960s from Russia and France. Serti Technique: This technique is also known as cloning or fence method and is popular in France. It is a kind of silk painting technique where the designs are framed with gutta or water-based resist barriers. The color in the outlined areas is kept from flowing into the designs by means of these barriers. Other wise the paints would flow into the design creating an abstract and undefined pattern. The designs are outlined on stretched silk with impenetrable substance. The space between the designs is colored using thin paint or dye. Colors are applied to pre-washed, dried and stretched white silk fabric with sharply defined borders. Once the paint is set, the gutta or resist is removed. The defining line of colors in the original fabric remains. Shibori Painting technique: This is an ancient Japanese textile technique. It is derived from tie-dyeing. Colorfast dyes and resists are used. It is a quick, easy, multi-colored process of painting which is interesting and attractive. There are certain special effects that can be created in silk painting using certain techniques. Water-like effects can be achieved by applying dyes or paints using mist sprayer, eye dropper or other tools that create abstract effect. Sprinkling salt on wet silk and brushing it off when dry produces interesting textural effects. There are different sizes of salt yielding different effects. Applying alcohol to the dye painted silk creates beautiful effects on the paint. This helps to create contrasting lighter and darker spots. Silk painting as an art form need not be the forte of professionals alone. It can be done at home by anybody who has an interest in this art. Nowadays silk garments are available with preprinted designs. They are also specially treated to stop the dyes/paints flow into unwanted areas. One has to simply choose the dyes/paints, brushes and optional accessories. Silk stretches that are designed to stretch the silk and keep it flat during the painting process are also available ready made. With little creativity and patience one can create startlingly beautiful results in silk in colors and patterns of ones' choice. One can convert a silk camisole into a garment with a pattern or design you have created and thus upgrade your wardrobe. Even by just dyeing a white silk item into another single bright color, one can save a lot of money. Silk scarves can be hand painted and given as gifts. With the high earning potential that silk painting offers, it is not surprising that many people have started adopting this art form on the silk canvas their way of life. First Published Date: Jun 19 2006 Last modified Date: April 23 2019 This page may have been updated recently as new information is available or the content may have been edited for better readability.